Anthrax singer Joey Belladonna delivered the U.S. national anthem at Wrigley Field in Chicago, IL on May 25 prior to the start of a major league baseball game between the Chicago Cubs and the San Francisco Giants, and video from the event is available online. 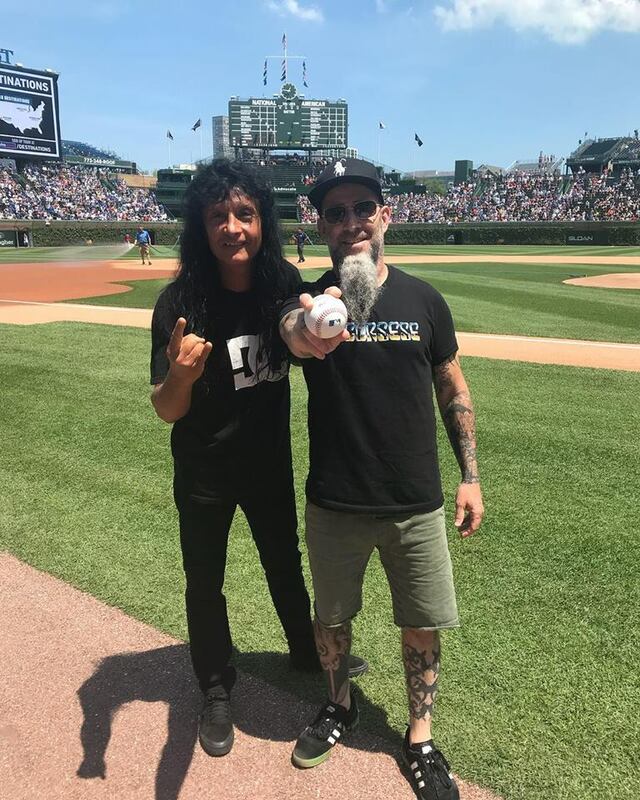 Bandmate Scott Ian streamed Belladonna’s performance live online before the guitarist himself had the honor of throwing out the first pitch at the legendary venue. The rockers’ early afternoon appearance at the ballpark was followed by a set at the city’s Hollywood Casino Amphitheatre as part of Anthrax’s opening gig on the final North American tour by Slayer. Anthrax recently released a new live DVD “Kings Among Scotland”, which delivers the band’s February 2017 show before a sold-out crowd at Glasgow’s Barrowland Ballroom. Ian also recently published his latest book, “Access All Areas: Stories From A Hard Rock Life”; the project sees the rocker recount his craziest stories as he shares tales of humor, excess, fun, debauchery, food, booze, and mayhem from his many years on the road.